Did you wear Keds as a kid? 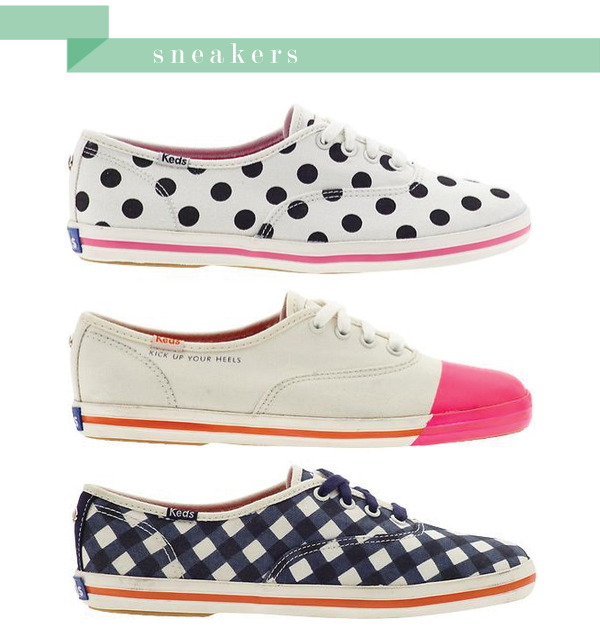 I remember I had a few pairs 🙂 These Kate Spade Keds would be so cute worn with shorts this summer. (I’m already daydreaming about warmer weather!) Which ones would you pick? The pink tip ones are my fave too! Those are SO cute. I've not seen them before. Definitely LOVE the polka dot ones. Can't get enough of dots!